It is with great pleasure that I accept this award, the Young Business Leader of the Year, from the Ruston-Lincoln Chamber of Commerce. I am so overwhelmed by the incredible show of support for our work with North Louisiana nonprofits. When we started The Exchange, I could never have dreamed of the ways that this community would come around us with support. It is clear to me that our work is important, that our nonprofits are making an abundant difference in the life of our community, and that there is much work to be done. We have only just begun! Dylan Sanders grew up in Kilgore, TX. He attended Louisiana Tech University and graduated with a BA in Psychology in 2015. Dylan interned at the Wesley Foundation Campus Ministry while in college, where he helped plan events, led missions, worked with outreach, did website design, and social media advertising for the Foundation. In 2017, Dylan went to work with The Ross Lynn Charitable Foundation as a design consultant and was promoted to Program Director of The Exchange, a program under the Ross Lynn umbrella. Dylan is also the Co-Founder of UpAhead, LLC, a web design company that he and his college roommate started. Dylan serves as the Young Adult Coordinator and is a member of Grace United Methodist Church and is a member of the North Central Louisiana Arts Council. He has done mission trips in New York, San Francisco, Vancouver, and his most recent in Cambodia. Dylan worked disaster relief in New York City after Hurricane Sandy and took a group of students to Baton Rouge after the 2016 floods to clean out churches that had been affected. Dylan’s passion for helping others while improving the health of communities is reflected in everythinghe does. In a time where non-profits are competing for donors, volunteers, & resources, Dylan somehow manages to bring everyone to the table and show them how community collaboration works best. Special Thanks to Anytime Fitness of Ruston! We are so grateful to have been the recipients of the proceeds raised by the first ever Rock Island Greenway Half Marathon and 10k! It was an incredible race, with over 170 runners participating! All proceeds from the run were donate by the host of the race, Anytime Fitness of Ruston! Thank you, Forrest and Nali Hummel, for such an amazing contribution to our work with North Louisiana nonprofits! In late June, the work of The Foundation reached a new level of engagement, seeing visions we have had since we began come to life. Our desire to introduce youth from North Louisiana to Ross’s community in Bozeman, Montana, through a program that nurtures positive holistic living became a reality. 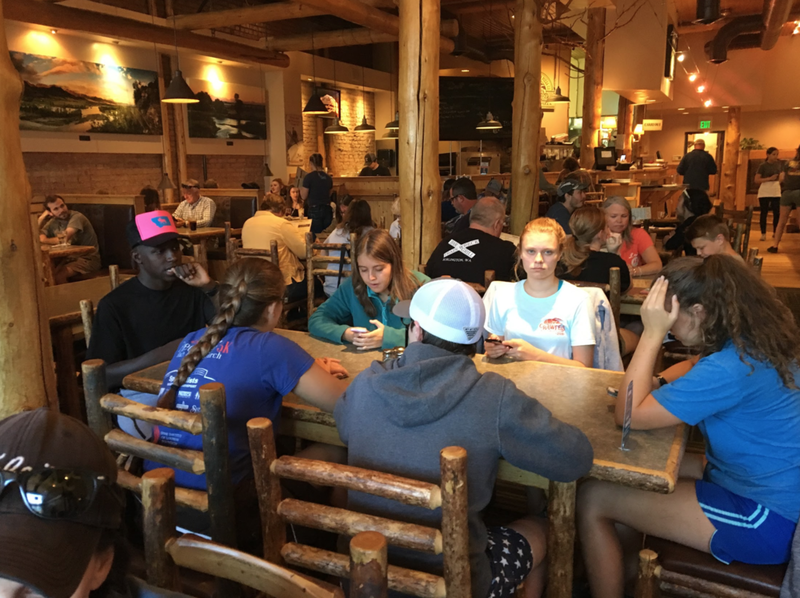 One Great River (OGR) and the Renzi Education and Art Center of Shreveport joined with us in taking a select group of six Louisiana high school youth to Montana for an outdoor adventure leadership program. This week-long out-of-context program opened doors for the students to consider a wider world of possibilities for their futures. One had never flown before, others had never ventured beyond the Shreveport area, and none had ever climbed rock face mountain spires. The week’s leadership included scientists, athletes, juvenile justice professionals, naturalists, substance abuse awareness experts, health and nutrition specialists, educators, artists, spiritual leaders, and community agencies dedicated to the development and holistic formation of the lives of individuals. Each team leader and guide focused on helping these six students reach their full potential. This kind of sustained attention and energy combined with healthy risk-taking and physical challenges created a perfect setting for positive growth and learning, strengthening resiliency, and cultivating compassion and empathy. 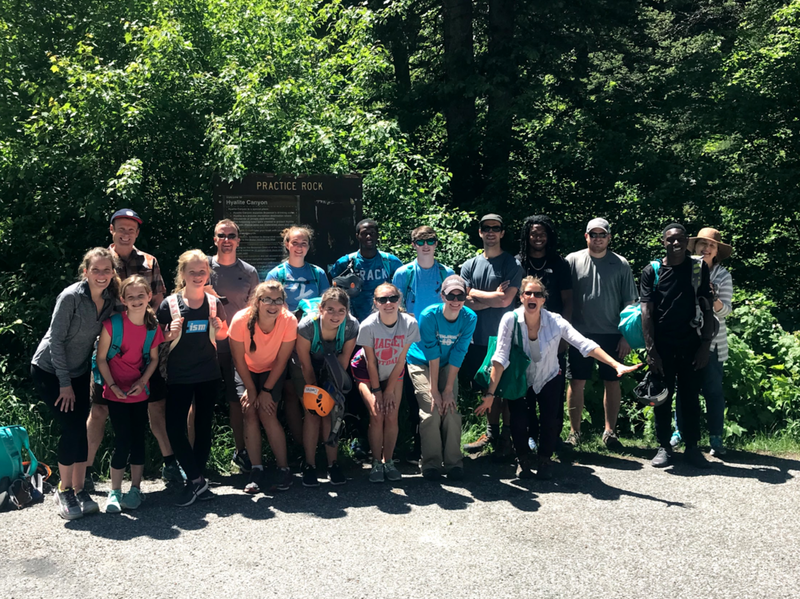 The students arrived in Bozeman after several months of qualifying work, participating in activities as a part of the Health Trekker Challenge conducted by One Great River. Each day the agenda included activities such as rock climbing, fly fishing, hiking, leadership training, artistic expression, self-reflection, and community service. Unlike prior OGR capstone treks, this trip’s destination and the adventure guides engaged grew out of the life and legacy of Ross Lynn. Through Ross’ friends and mentors, the students witnessed first-hand professionals with a sense of place, making life choices that invite and nurture life-long healthy living and the desire to give back. The days spent rock climbing were under the direction of Montana Alpine Guides owner Sam Magro. Other alpinists joining our MAG guides were Whitt Magro and Tim and Katie Seipel, Montana friends of The Foundation. 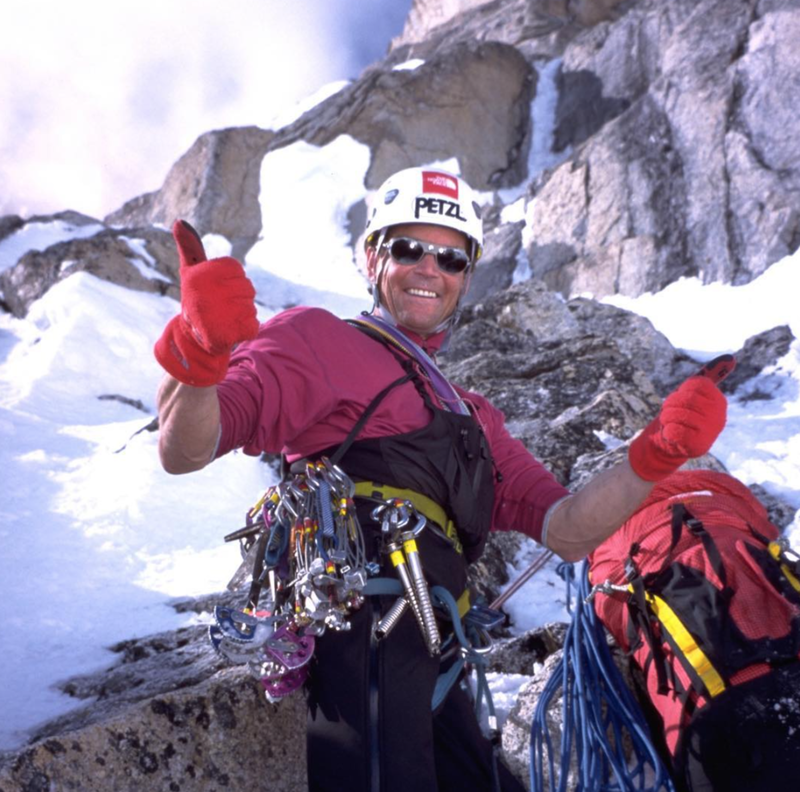 Particularly meaningful was the time spent with world-renown alpinist, mountaineer, and climber Conrad Anker, with whom Ross shared a rope often. As students geared up, the reality that Anker would serve as one of their tutors, helping to belay them on their climbs, began to sink in—especially after they were told that learning to climb under his direction was akin to learning how to pass a football from Drew Brees. 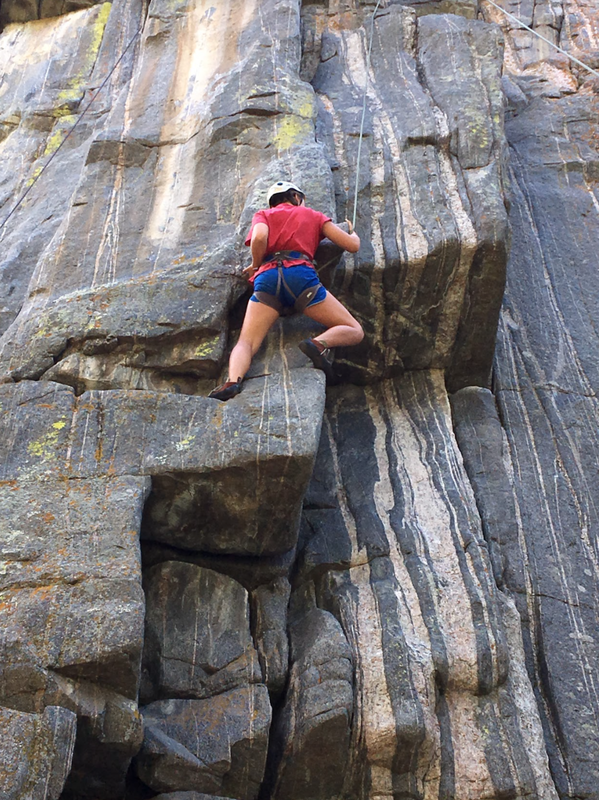 Each student climbed multiple routes, honing their skills while problem solving, gaining confidence, and learning how to work with their physical strengths and weaknesses to climb and rappel sheer rock cliffs. The fly-fishing experience was not just about the rhythm of the sport. Alpinist and fishing guide Adam Knoff and a team from our growing Montana community had our students knee-deep wading in a clear mountain river while learning the early history of the Native American territory. While we hoped and expected the students and leaders would gain immeasurably from the experience, what was unforeseen was the impact on and gift of response of from the Montana community. The experience was meaningful in both directions, connecting the participants in a way that is knitting the two communities closer together and bringing our vision full circle. The invitations, connections, and open doors are full of future possibilities for our mission and shared vision. What became clear through this adventure is that we have embarked on a long-term body of work that will serve both communities for many years to come…that will be another story for another day. For now, we are incredibly grateful and in awe of what can be happen when visionaries with a common purpose join together serving the greater good. This type of work is never possible without those who support us and our partner organizations. Many stepped forward to help fund this project, while others gave of their time and talents. All came together, and lives were changed forever. 4th Annual Backroads & Bayous Trail Run Draws A Crowd! Gilliam, LA - May, 24 2018 - May 19th marked the Fourth Annual Backroads and Bayous Trail Run hosted by the Ross Lynn Charitable Foundation. Runners ran 10m and 3m distances through scenic farm country with art, yoga, and plenty of food, making it a perfect event for the whole family. Our friends at Mahaffey Farm provided meat for insanely delicious tacos prepared by El Cabo Verde (home of award winning Chef Gabrielle Balderas). Beer was provided by local Red River Brewing Company with coffee provided by Bonfire Coffee! Take a look at the gallery of pictures below! Congratulations to our winner, Chef Tootie Morrison! The news is OUT! 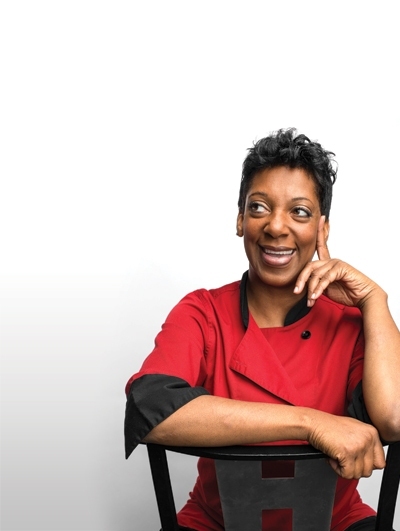 We've selected Chef Tootie Morrison as our female chef to travel to MOROCCO for an immersive culinary experience! From May 7th - 18th, Tootie will join a group from Montana State University and The Atlas Cultural Foundation to immerse in cross cultural engagements involving food, farming and agricultural extension. We’re are thrilled to be able to provide Tootie with this once-in-a-lifetime experience. Let’s give a big shout-out to Tootie Morrison and congratulate her as our winner! A special thanks to Montana State University and The Atlas Cultural Foundation for making this a possibility! Learn more about Tootie through this article in Louisiana Life magazine! For more information about The Atlas Cultural Foundation, visit their website! 2017 Harvest Dinner is one for the books! The 1st RLCF Harvest Dinner, an evening of amazing food, great fellowship and fun festivities was held at Jeems Bayou Club on Caddo Lake Friday evening, November 10th. Showcasing the Foundation's 3rd year of work and formation, guests celebrated with us the ways in which we have been able to offer events and programs that cultivate compassion, nurture creativity, support individuals in self-discovery, and foster response to serving the greater good. The community of supporters and friends represented at the dinner were many and from diverse origins merging to support a common focus. None of what we are about is ever possible without all of them! Throughout the evening, guests enjoyed delightful tapas dishes prepared by Shreveport Chef and Caterer Blake Jackson of Drake Catering. Blake says that "food found him" and we are glad it did! His combinations of tastes and textures delighted the pallet, and introduced all to partake of new (and surprising) ways of experiencing the ordinary. In between the courses guests received gifts of hand made pottery bowls created for the evening's menu by Shreveport ceramicist, Amanda Hebert; a raffle including prizes of Sample Farms' eggs, registrations to Backroads & Bayous Trail Run, Breathe Yoga Classes and Red River Brewing craft beer delighted the recipients; and all of the evening was wrapped in music that "soothed the soul" by JRIII. It was an evening that said thank you to our wonderful sponsors, volunteers, board members, and guests ... all who made our first Harvest Dinner possible! Scholarships and Grants are awarded to a participant in each of the following programs. 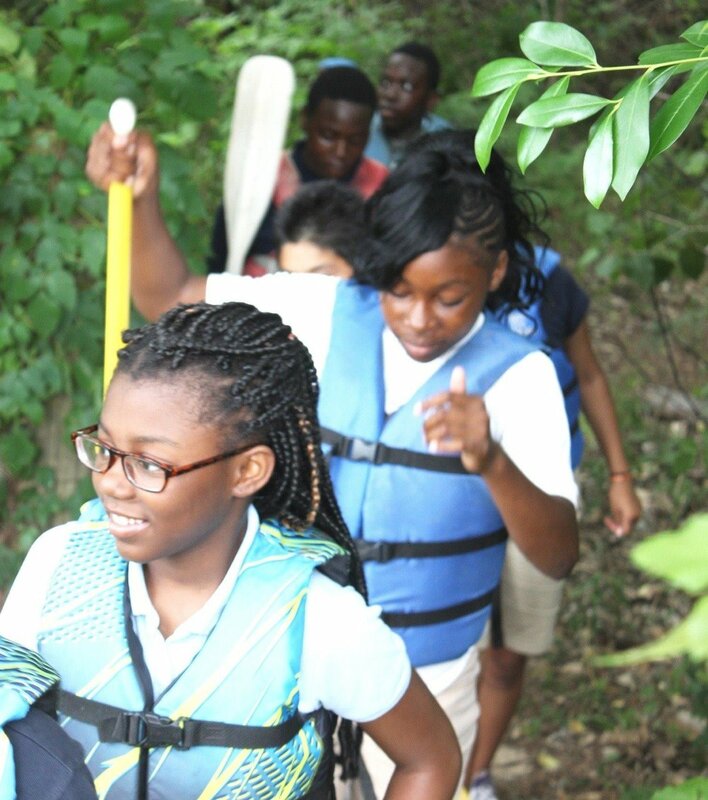 Bayou to Bay: Since 2012, B2B has provided programming for teachers and over 500 hundred students in Caddo Parish using a series of original, field-tested, and experiential-based activities that connect people to their watershed. Alex Lowe Charitable Foundation: January 2017: The Alex Lowe Charitable Foundation (ALCF) is dedicated to preserving Alex Lowe's legacy by providing direction and financial support to sustainable, community-based humanitarian programs designed to help the people who live in remote regions of the world. This foundation carries on Alex's spirit of adventure. Journey Partners: Journey Partners is designed to deepen each participant's personal faith journey, as well as to offer training in the practice of spiritual direction. The program consists of six retreats, held over the course of two years, at the Duncan Gray Episcopal Retreat Center in Canton, Mississippi; supervised experiential learning meant to develop each participant's capacity to accompany others in spiritual direction within congregational and mission settings; and reading and writing assignments to be completed between retreats. This is the second year for us to give this scholarship. Writers Workshop Hosted by Ross Lynn Foundation! As part of our artist-in-residence program we hosted a residential writing workshop with author and teacher Robert Benson. Those attending were immersed in the charm and hospitality of the farming communities of Belcher and Gilliam. Each writer brought their unique individual styles sharing words with one another and discovering even more deeply their call to tell their stories. A reception for Shreveport artist Jim Huckabay wase held at Main Street Exchange in Ruston during the Holiday Arts Tour of 2016. Music by Monty Russell kept feet tapping and all who came enjoyed an evening with the artist. Main Street Exchange is a Green Mission Shop with proceeds of all sales going to support charities through the Ross Lynn Foundation. It is the hope of the Ross Lynn Foundation to bring individuals whose works are making a significant difference in the world into our communities; and to present forums where they tell their stories. Conrad Anker and Jenni Lowe-Anker were with us in 2016 sharing with those who gathered about the ALCF (Alex Lowe Charitable Foundation). A short film by Karl Swingle featured The Khumbu Climbing Center and their work through the ALCF with Sherpas and residents of the village of Phortse, Nepal and the surrounding region . All in attendance were inspired to think about how their own lives could make a difference and serve the greater good. At RLCF we were inspired to begin visioning opportunities and offerings to get people Outside, Climbing and being inspired...Watch for more to come and get outside, climbing with us! Thanks to Jenni and Conrad!